If you have ever summoned the courage to show some of your creative writing to another living person (cats and houseplants don’t count, I’m afraid) you should read about young Proust’s experience of it, because you’ll totally understand how agonising it is waiting for someone’s critical judgement, and it’ll break your heart to when the poor soul has his young dreams crumpled to dust. Early on in ‘In The Shadow Of Young Girls In Flower’, Proust – *cough* I mean, the young narrator – allows Monsieur de Norpois to read some of his writing. The visitor also happens to be acquainted with the writer, Bergotte, whose work is greatly admired by the young boy and has been a major influence on his ‘scribblings’. What could possibly go wrong? Everything. Now that I’m aware of your quite excessive admiration for Bergotte, I can appreciate better that little thing you showed me before dinner, about which, by the way, the less said the better – I owe it to you to say so, for did you not say yourself, quite openly, that it was mere childish scribbling? (It was true, I had said so – but I had not meant it.) all sins shall be forgiven, especially the sins of our youth, what?…. You’re not the only young fellow who has ever fancied himself as a poet. Ouch. Monsieur de Norpois has clearly never experienced the vulnerability of exposure felt when one first reveals one’s creative endeavours to an audience of any sort. His assessment is so damning that I’m amazed that Proust dared to even write his name again let alone anything creative! Clearly, this awful experience could have been avoided had young Marcel been able to join a writing group. He’d still have had to overcome his anxieties about showing his work, but he’d have had the reciprocal support, sensitivity and camaraderie of a group of fellow writers, not to mention copious amounts of tea and biscuits. Ok, maybe you have to bring your own biscuits, and a cushion. Definitely a cushion. I was devastated by what M. de Norpois had said about the piece I had given him to read;…. I became once more acutely aware of my own intellectual poverty and of the fact that I had no gift for writing….What he had done was inform me of the microscopic insignificance of myself when judged by an outside expert, who was not only objective, but also highly intelligent and well disposed to me. I felt deflated and dumbfounded; and just as my mind, like a fluid whose only dimensions are those of the container into which it is poured, had once so expanded so as to fill the vast vessel of my genius, so now it shrank and fitted exactly into the exiguous confines of the mediocrity to which M. de Norpois had suddenly consigned it. That passage captures so accurately the effect of harsh words on a delicate creative ego, it makes me wince. I can’t help but feel deep respect for Proust in overcoming such a bruising experience. It would have been too much for me. I wonder whether his memory of that moment fuelled him in some way, spurring him on to prove the pompous git wrong. I’d love to know whether Monsieur de Norpois – or whoever he was in reality – lived to witness Proust’s success as a writer. I like to imagine him strolling past a bookshop and being stopped in his tracks by an attractive illuminated window display in which a plethora of volumes of Proust’s masterpiece hover around a large central photograph of Proust looking straight back out at him, smug and successful, having totally proved him wrong. I really, really hope so. 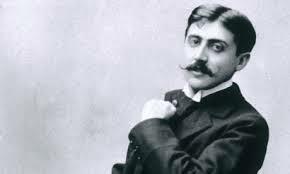 Marcel Proust demonstrating an early form of the fist pump. Oh that part was pure torture! I remember stopping reading for a moment to get up and walk around the room till the stinging-by-proxy stopped. 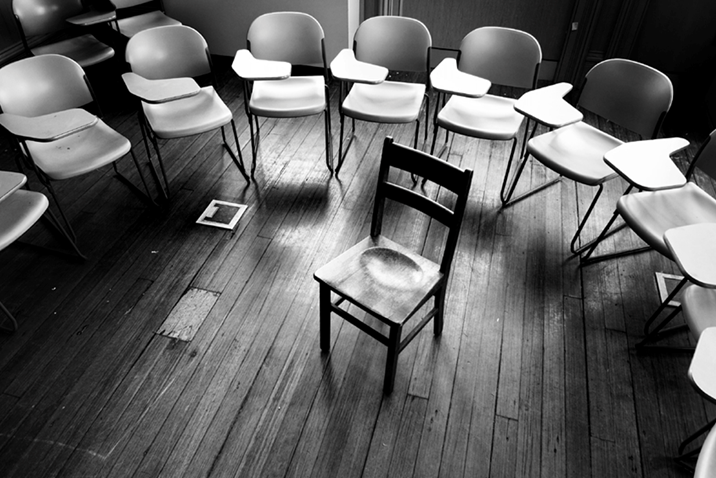 What I find best about writing groups even if people aren’t that supportive, which they usually are, we get to hear what they have written, and use every grammatical error and cliché in their work as a balm to soothe any wound they have inflicted upon us. I too really hope Monsieur de Norpois saw Proust do well. Hats off to Marcel for overcoming that knock back, and adopting a ‘I’m not just gonna write, but it’s gonna be THE LONGEST BOOK IN THE WORLD!’ attitude. Exactly. I like to think at that moment, Proust thrust his quill into the air (other writing implements are available) and shouted ‘SPARTA!’. I cringed when I read that because I remember sharing my manuscript with my Professor and he said, “Reading this one would think a thirteen year old wrote it,” and that stung. But, well..two years later and I have two books out, so maybe the thirteen years old grew up or better yet found someone who could read her work and love it! That’s awful! But, go you for carrying on anyway. It must take a truck load of grit to recover from a cruel burn like that, but I bet such victory is sweet! I know! I’ve put a bookmark the page so that if I ever get stung by harsh feedback I can reread this and thank my lucky stars it’s not as bad as this! Pretty mediocre ‘critique’ if we can even call it that. Cuts straight to judgement while dispensing with that oh-so-troublesome work that’s needed to explain how a judgement was reached. Lower second. Haha, brilliant! I’d love a stash of ‘critique critique’ post-its in my bag with a space for feedback and grade, to be able to slap on the perpetrators of harsh or unfair criticism such as this. How utterly satisfying!